Today I am Slow Sunday mending. These jeans have been sitting around waiting for me to get to this for so long I'm not prepared to admit a time frame but this is their moment. I have made a start, and aim to get them finished today, so that I can start wearing them again. There was a time when I would have worn them with the tiny hole and just let it grow, but since I tried my first mending, last year, I am less inclined to do this. The tear has maybe doubled in size, none of the stitches have given. I used Coats Dual Purpose thread for this mend and am sticking with that for the new one: can't fault its performance. This time I thought I'd try something just a bit different, so am using cross stitch. 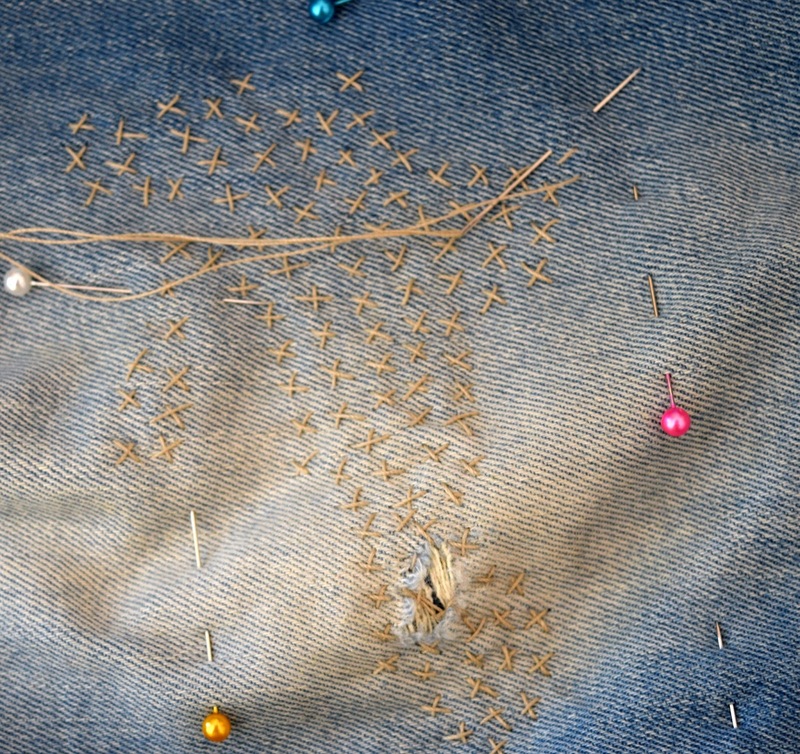 The patch of new denim is on the inside; the pins show you roughly where its edges are. So awesome! I have to do something exactly like this for my sister. 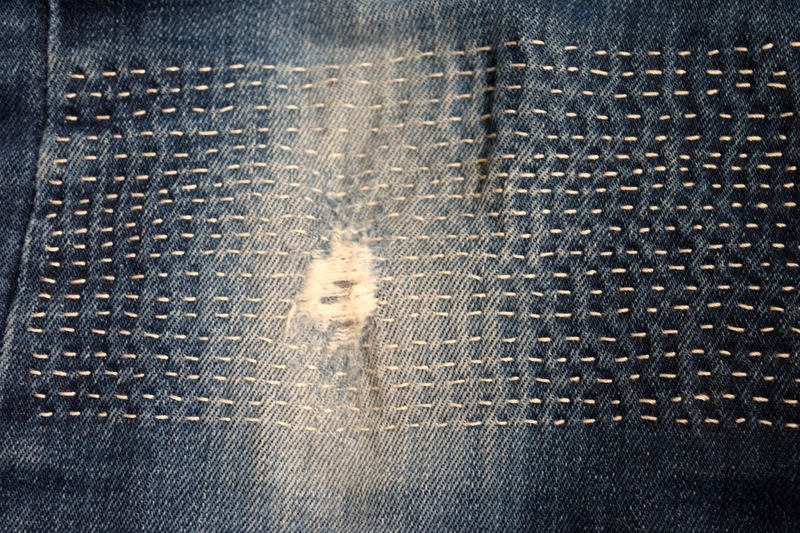 Your first photo reminds me of Sashiko embroidery, and I love the cross stitches idea such clever ideas for mending. I just last week bought Voyage autour de la Laine, by Segolaine Schweitzer and published by Quiltmania. Her work reminded me strongly of your work. 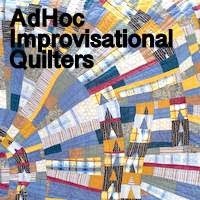 She uses a mending stitch to loosely join wool patches, and now here you are, mending! It's so interesting, and considerable food for thought! Great stitching, looks great, Kaja. I'm now waiting, not too patiently, for my jeans to develop holes!!! Mending looks magic. At 66 florals don't quite look right now on me sighhhh, so now I too use denim inserts or add ons and since watching Jude's slow stitching for some years now, I too 'Boro' stitch my patches with a sashiko ish style. Love, love what you've done and it never occurred to me to beautify even more, with cross stitches! That is a wonderful idea Lyn!